I’ve been doing a lot of slow-cooking lately as I am stocking up the freezer for my husband whilst I am away, and it also means that I don’t have to spend too much time in the kitchen during this wonderful weather we are having. I recently found a new book called The Slow Cooker: A Celebration of The Slow Cooker by Love Foods which contains so many wonderful recipes that it has completely changed my mind about the use of a slow-cooker. This recipe is one of them and it is so simple to make and tastes delicious when cooked. I cooked my chicken on LOW for 8 hours and the meat just fell away from the bone and melted in your mouth. A very Mediterranean taste to it which we just loved. As my husband is gluten-intolerant, I used buckwheat flour to coat the chicken, and served it up with gluten-free pasta. It made two good meals with plenty left-over for freezing into individual portions. Place the flour in a large plastic bag together with half of the salt and the pepper. Add the chicken thighs and shake well to coat. Heat the oil in a large fry pan and add the chicken pieces. Cook on each side for about 4 minutes until brown. Do this in two batches if necessary. Place the chicken in a slow cooker. Add a little more oil to the pan if needed and gently sauté the onions and garlic for about 15 minutes until soft. Add the wine and bring to the boil, stirring continuously for about 2 minutes. 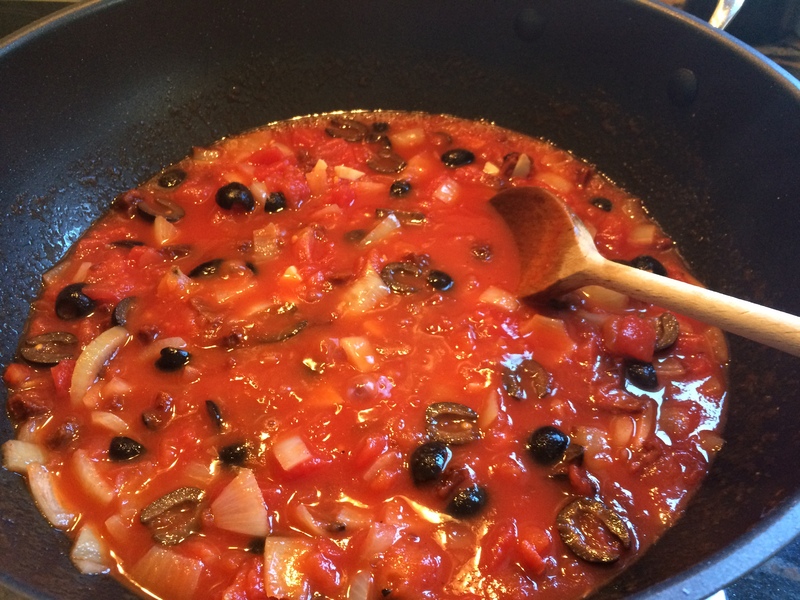 Add the tomatoes, olives, sun-dried tomatoes and the remaining salt. Cook for about 1 minute. Add the mixture to the chicken in the slow cooker. Cover and cook for 4 hours on HIGH or 8 hours on LOW. Serve hot with gluten-free pasta. Chicken drumsticks could be used in place of the thighs, or a combination of both. 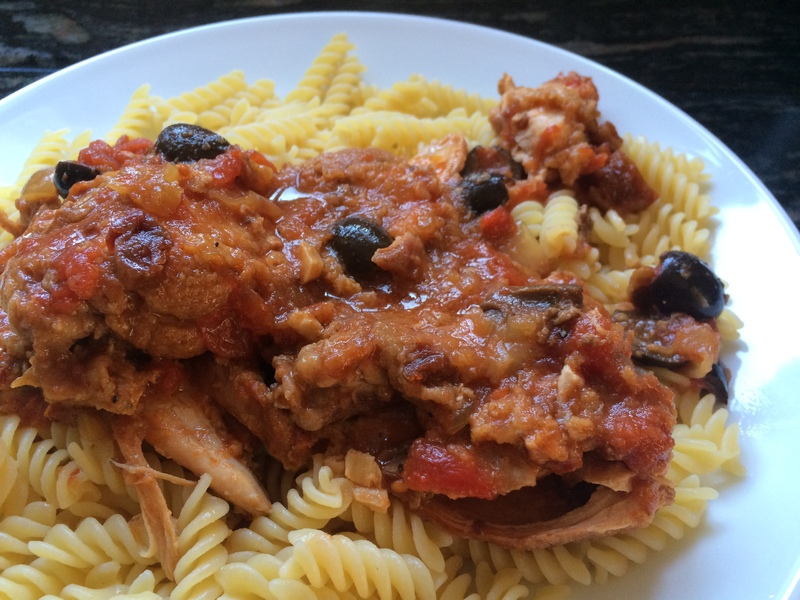 This entry was posted in Dinner, Supper and tagged Buckwheat, Chicken, Dinner, Gluten Free, Healthy Eating, Olives, Sun-Dried Tomatoes, Supper, Tomatoes, Wheat-Free. Bookmark the permalink.